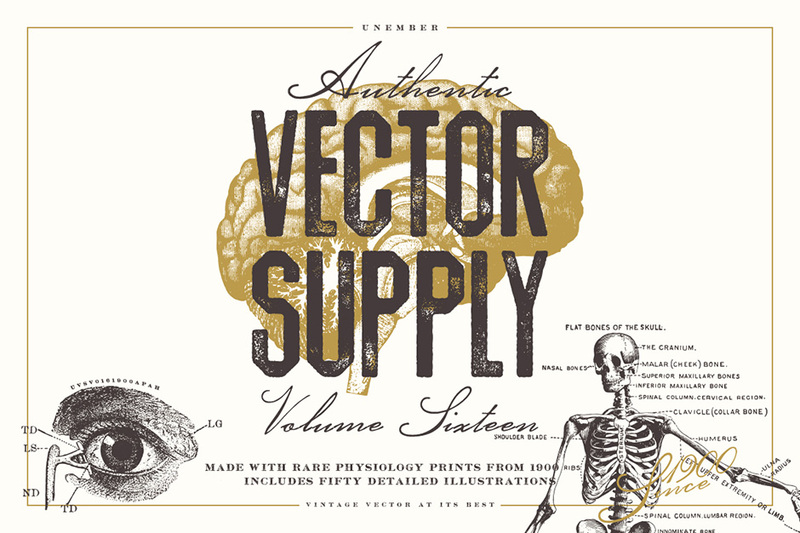 Unember: Vector Supply Volume 16 contains 50 stunning illustrations sourced from rare physiology print published in the United States, 1900. • 50 vector illustrations from 1900 (that’s right, these are 116 years old). Highly detailed and optimized graphics, natural worn ink, perfect for high quality vintage print. • Vintage illustrations crafted from an authentic physiology book from the old days – the pack includes beautifully detailed anatomy illustrations. • Format includes .AI, .EPS and .PNG. Software compatibility: Adobe Photoshop and Illustrator CC. .PNG files will work with most graphic software. File size is approx 259.5MB (380MB unzipped), offered as a single download.